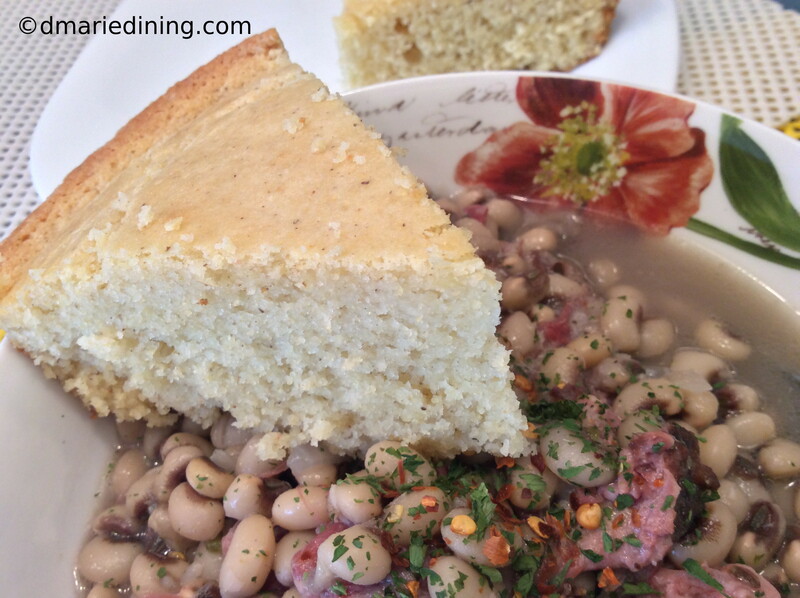 In honor of our southern roots my family always rings in the New Year with black eyed peas. It is a tradition I hope will pass on to my children. 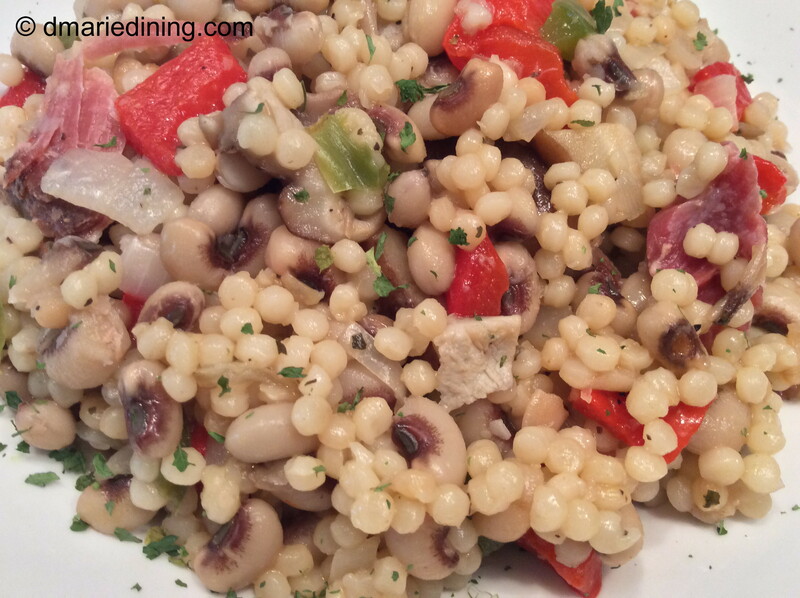 Black Eyed Peas are suppose to bring you good fortune for the New Year. I say good fortune because I do not believe in luck. To me, everything happens for a reason whether or not we understand the reason why it happens. 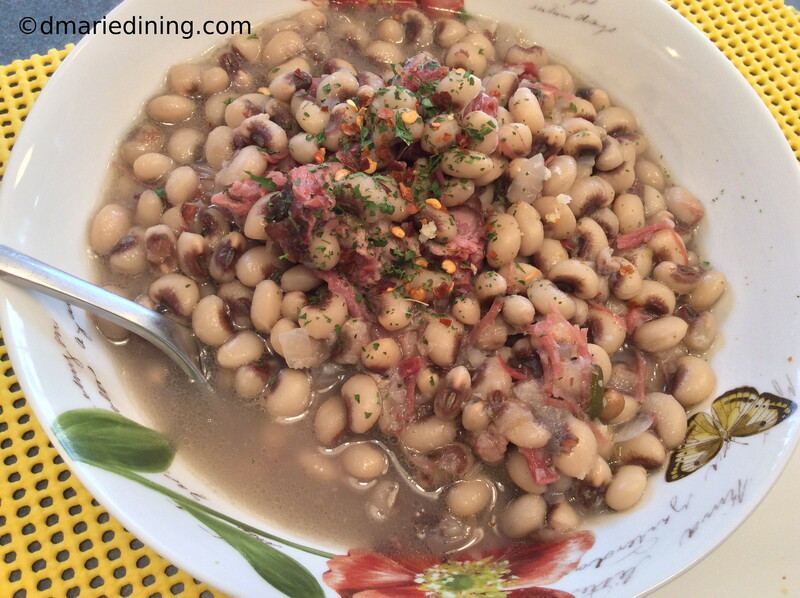 So on New Year’s day, black eyed peas are guaranteed to be on the menu. Of course, they can be delicious anytime of the year. 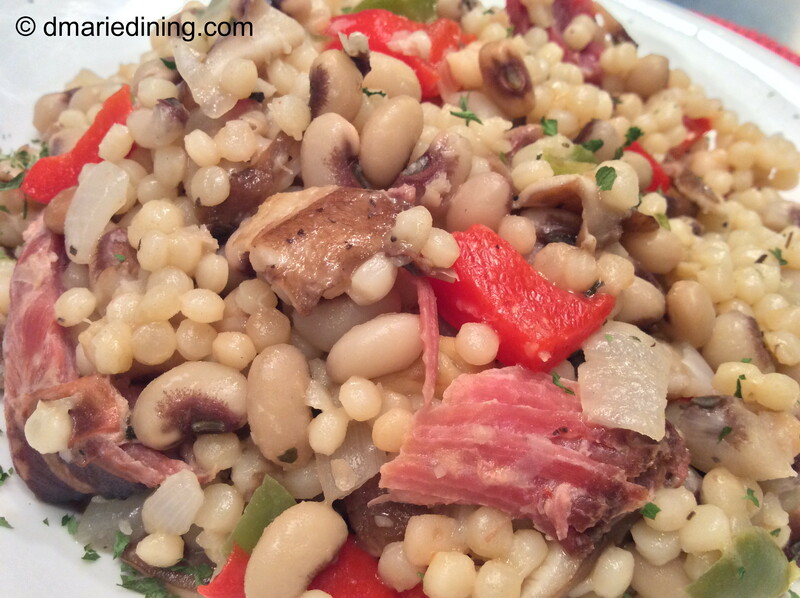 The key is to season the peas with a nice meaty ham hock or flavorful smoked turkey leg. 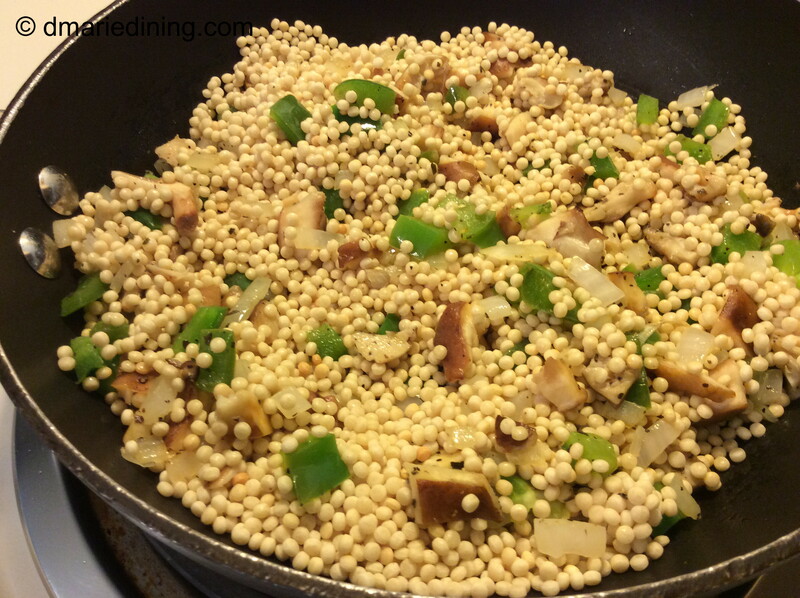 For my vegetarian friends you will need to pack in a lot of other seasonings to produce a wonderful flavor in the peas. 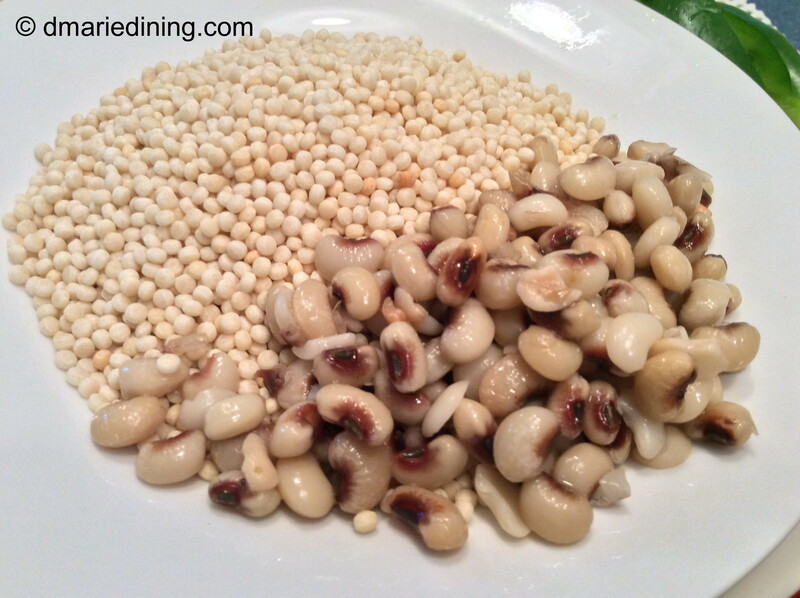 The hardest part of preparing black eyed peas is to tenderize the meat before adding it the peas. 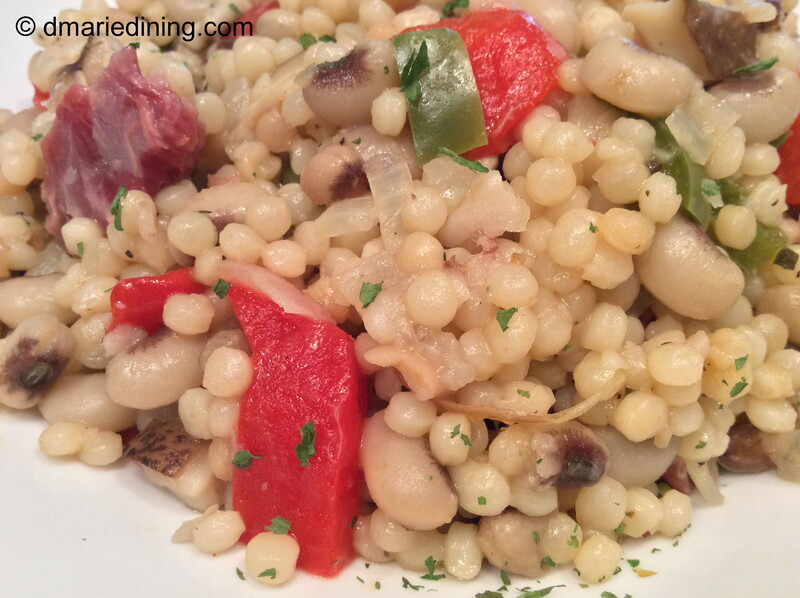 I am comfortable with using a pressure cooker so that is how I quickly tenderize any meat that would other wise take hours to cook to get tender. If you are not comfortable using a pressure cooker, you will need to cook the meat for a few hours until it feels tender. Taking the time to tenderize your meat makes a big difference in how the dish tastes. 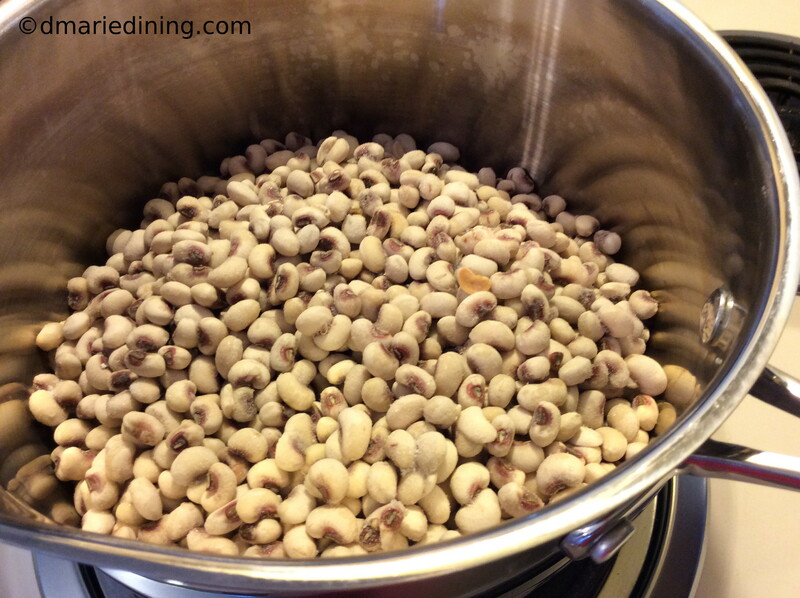 No matter when you decide to fix a pot of black eyed peas, I am sure good fortune will shine upon you. 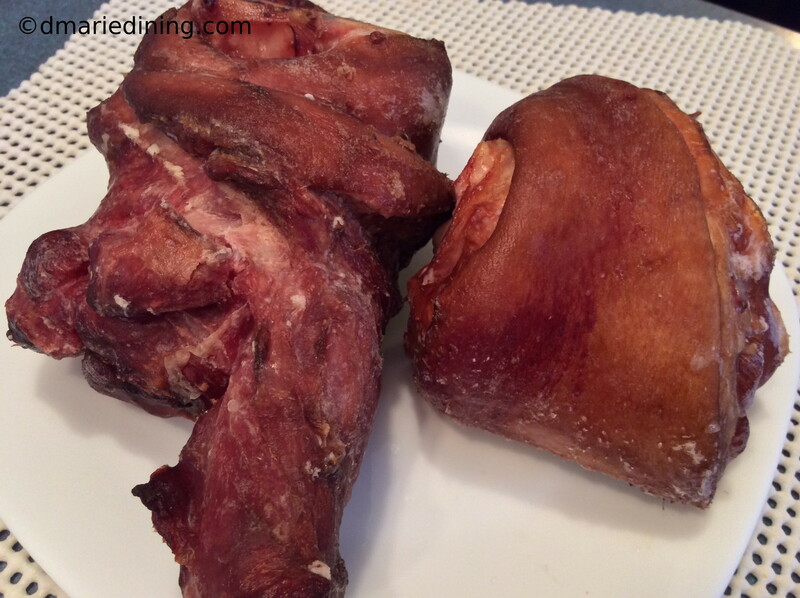 Place ham hock or smoked turkey in a pressure cooker and cover with water. Secure top of pressure cooker and cook for 30 to 40 minutes. Let cool before removing top of pressure cooker. Reserve 3 cups of broth from the cooked meat. 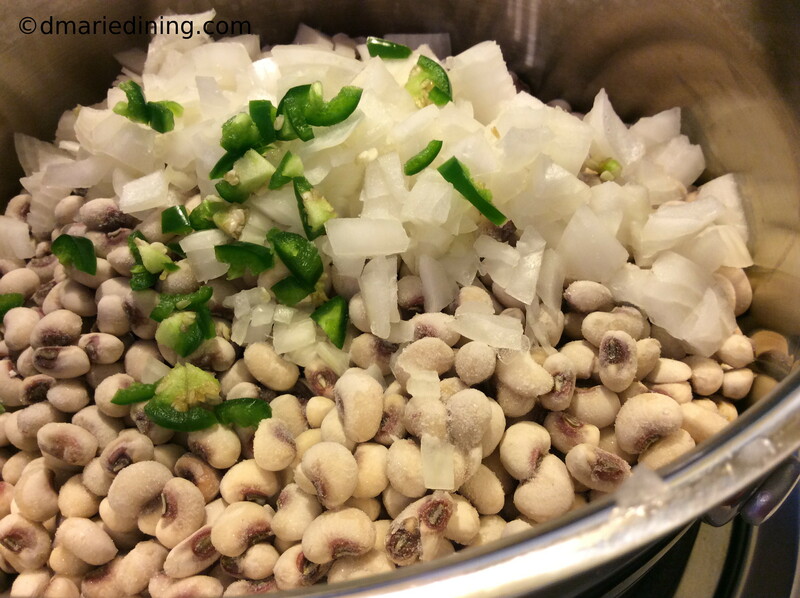 Place the meat, black eyed peas, onions, jalapeno pepper and seasonings into a large pot. Add the reserved broth and place lid over the pot. Simmer over medium heat until peas are tender. Approximately 30 minutes.